In warm early April, when West Lake of Hangzhou is a little shy about its pretty with early peach blossoms and newly grown wickers, cloud and mist circle the lakeside hills, and girls at hill foot pick fresh tea-leaves in the drizzling, the city of Hangzhou declares its greatest scenery in spring, and also the best time for a sip of the fresh West Lake Dragon Well Tea. Xihu Longjing Tea, or West Lake Dragon Well Tea, a distinguishing green tea that second to none among all Chinese tea attracting travelers form home and abroad, is inevitably included in a to-do list in almost every Hangzhou tour and even a China culture tour, for it is not merely an easy hit for Chinese tea culture, but rather a right way to get to a real Hangzhou, a poetic city with rich history and culture. Start from the Yanggong Dyke of West Lake, drive along the beautiful Longjing Road about 10 minutes, the famous Meijiawu Tea Village come into sight. Meijiawu Village is a tea garden village with some of the best sceneries of the West Lake, and its own unique charm of whitewash wall, small bridges over flowing streams, exquisite tea houses with bamboo tables and chairs. 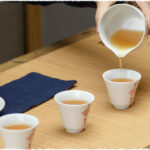 Though small in size, Meijiawu boasts over 120 tea houses, each with their own characteristics. In one of any these tea houses, the native-born girls demonstrate the tea art when they serve their guests the tea. To warm the glass first with hot water, and then pour away the water and add in processed tea buds; the girl carry a special kettle shake her wrist for a second to let boiling water gurgling into the glass, which is said a symbol of welcoming guests, and then continue to pour the water into glass for three times, each time with a small mount of water. 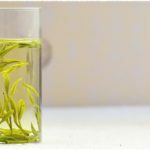 When add in one third water into the glass, tea buds expand in the water and the up-right buds create a vivid scene in the glass; when add in water again and again, tea buds will sink one by one; after all buds drop into the bottom, then a glass of fresh sweet Longjhing Tea with bright color is done. 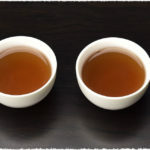 Though looks like other ordinary glass of tea, so many details are attentive in the tea-making, no wonder people often say that to have a tea in Meijiawu is also to have a tea culture, and to sip the original taste and flour of Dragon Well Tea, Meijiawu is the solid choice.